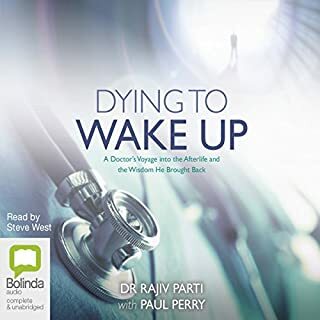 A rare glimpse into heaven, hell, and previous lives - Dr. Rajiv Parti's near-death experience brought him on a journey through the afterworld, leading to a spiritual awakening that transformed his career, his lifestyle, and even his fundamental beliefs. Before his near-death experience, Dr. Rajiv Parti was a wealthy man of science with a successful career as the Chief of Anesthesiology at the Bakersfield Heart Hospital in California. Dr. Parti was the last man to believe in heaven or hell - that is, until he saw them with his own eyes. Communications from beloved pets are seen by thousands every day. Some messages are given in ways that require an acute awareness and more interpretation as well. 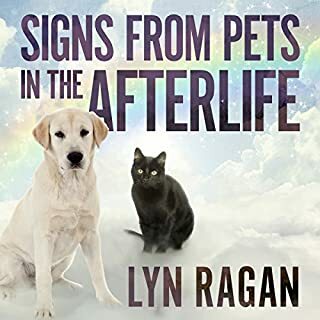 From the heavens above, signs are given by deceased pets to connect with their families they left behind. Oftentimes, the gifts they share are unseen or are difficult to identify. Learning to speak the language of spirit requires practice, but once identified, the joy of hearing from your pet in spirit can bring great comfort. During her academic work, Dr. Sartori studied three samples of ICU patients during a five year period. The first consisted of 243 patients from the first year of data collection who survived their ICU experience. Of those, two experienced an NDE, and two an out-of-body experience (OBE). The second cohort consisted of survivors of cardiac arrest during the five year period. Of those, 39 patients (or 18%) experienced an NDE. The third cohort consisted of all the patients who experienced an NDE during the five year period. Their stories are captured in her new book. One patient in particular, patient number 10, stands out for Dr. Sartori. When asked about the biggest takeaway from her research, Dr. Sartori says, "In medicine, we're trained to believe that the brain gives rise to consciousness. My research into NDEs has made me question this prevailing paradigm, which admittedly is very widespread. The most important lesson for me has been a deeper appreciation for death and a whole lot less fear and anxiety about it." 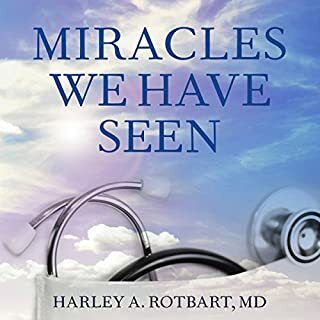 In addition to detailing dozens of case studies, the book also discusses childhood NDEs, differences in NDEs among different cultures, and the after-effects of NDEs - one of which is the inability, in some patients, to wear a wrist-watch. 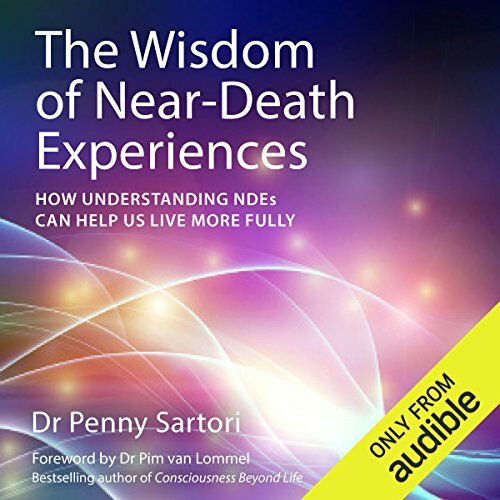 Penny Sartori PhD, RGN is an expert in NDEs and undertook the UK's first long-term prospective study. She is the author of The Near-Death Experiences of Hospitalized Intensive Care Patients: A Five Year Clinical Study and lectures both nationally and internationally. Would you try another book from Penny Sartori and/or Julie Maisey? I would add more first person accounts- either narrated by the actual person or by another voice over. Add more descriptive details to the actual NDE experiences. Was The Wisdom of Near Death Experiences worth the listening time? Oh yes! This is a very well researched scientific approach. What made the experience of listening to The Wisdom of Near Death Experiences the most enjoyable? The content in this book was exceptionally well researched and presented. 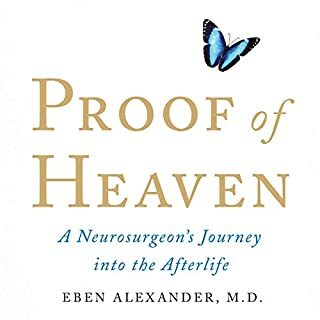 From the outset Dr. Satori points out that she is not out to prove afterlife in this book, just that the NDE is a real experience, not a hallucination of a dying, hypoxic brain. Analysis of countless NDE experiences, and Dr. Satori's reflection on how we deal with death in the west. Her work experience as a ICU/ITU/CCU nurse had provided a perfect vantage point for the observations discussed in the book. Have you listened to any of Julie Maisey’s other performances before? How does this one compare? I haven't. I liked the performance; by the end of the book I considered Julie's voice that of Penny Satori's. This kind of merger is to me a sign of a good performance. Like Dr. Satori suggests, content of this book should be necessary reading for any nurse or doctor in training. Audible should offer a "bonus star", as sometimes the five stars aren't enough. Excellent book! 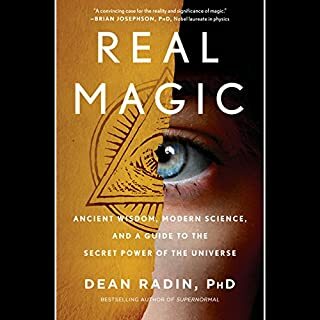 I highly recommend this book for those interested in NDE's. Easy to listen to, great narration, great story. This book has a great message and deep meaning. I will definitely listen again. I loved the stories and the scientific data. the entire world needs to read this book ! I loved this book and wish the entire world would read it. I also enjoyed the narrator. she made listening to this book, as if tne individual people themselves were telling their own stories. Wish that every living person could read this book - truly transformational. Reveals truths beyond conventional science, and words of wisdom for living - as well as dying. thank you very much, help me so much understand my NDE from cardiac arrest. even my therapist had no help for me. Outstanding well written spiritual book-life-changing remarkable in sights. Doctor Penny Sartori’s work is brilliant. I had really high hopes for this when I started listening to it and I should stress I did enjoy listening to it. But I felt there wasn't enough science in it - it's mostly anecdotal evidence and a lot of it is from people who claim to be "psychic". I'd have liked to hear some hard facts about what the doctor's research found but from what I can gather her experiments didn't really prove anything. The symbols she set up high so anyone in her ward experiencing an NDE could see them were never seen. So you can take that as evidence of the NDE not being as real as its claimed, can't you...? I expected to be convinced by this book but ultimately it just raised a lot of unanswered questions. If it's a REAL thing, why do cultural expectations play any part? It IS worth a listen, and the narrator is quite good just don't expect to embrace death after listening to it! I got bored with it. Nothing was interesting and I couldn't understand the reason why this book was written in the first place. Everything was all over the place and the narrator did not help with having the wrong tone in her voice while reading something that was meant to be more of a serious topic rather than a cheerful childrens bedtime story. It was very unpleasant for me. Overall I must say that I'm really glad that I listened to this book. An important subject and any information / perspectives etc are valuable. I can relate to some of what was noted in terms of relatives nearing death. So overall a positive review. But. 1. As noted by others the narration can be irritating. It is almost as if the narrator is trying too hard. Too many attempts at accents to differentiate different characters relating their stories and also inappropriately (in my view) "sing songy" delivery in parts. 2. The author is clearly convinced of her core thesis and so there did seem to be a tendency to give unblinking credence to most NDE recollections whilst being rather dismissive at times of scientific conjectures that may run contrary to the thesis. 3. The book did become repetitive. The same points were made on numerous occasions. 4. The prose style swung between fairly regular narrative style and "University thesis speak". I'm from a scientific background (although not medical) and I'd have found it more credible to have ditched the "thesis speak". Definitely worth reading but if another book is contemplated maybe my points above might help? This is well presented and very interesting. One of the better books on the topic. The Narrator does a great job of the different voices that really helped give each case history its own distinct feel. Worth your time, if the subject interest you. Would you listen to The Wisdom of Near Death Experiences again? Why? I'm a couple of hours into this and there is something that is driving me crazy. This otherwise fantastic book has been spoiled by the narration. The narration is fine when the narrator is speaking normally, but every time she is reading the words of a male person she slips into the character of cockney barrow boy. It is so irritating! I have no problem believing the stories in this book, having had experiences myself that mirror some of them (though I wasn't dying at the time), but I can't believe that every male who contributed to this book, including educated and professional men all spoke with a cockney accent and dropped their 'h's. I don't know how the men whose stories are told here must feel about this, but I'd be mortified if it was my husband's words being spoken as though his typical way of communicating is like: 'Would you Adam and Eve it, one minute I was brown bread the next I was being telepathically spoken to by a guy in a shiny white whistle and flute'. I would have preferred to hear the author narrate this. She has a lovely Welsh voice, but maybe she was advised not to record it herself. Shame though if that was the case. 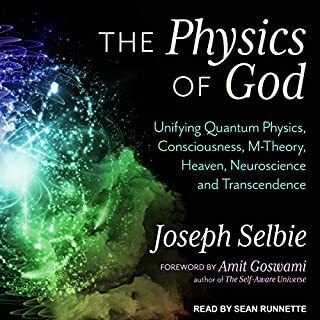 wonderful reading thoroughly enjoyed it and would recommend it to all my friends, as I am a medium and very spiritual I definitely believe life continues after death .